API consumer users consume managed APIs exposed by the API Gateway, using them to build and test client applications. API consumers can be client application developers from named organizations or the community organization. They can also include operator users who are responsible for monitoring production applications that invoke managed APIs. API Manager provides an intuitive user interface to enable API consumers to consume the managed APIs exposed by the API Gateway. Note This topic assumes that API Manager has already been enabled and configured for your environment. For more details, see Configure API Manager. When the user account has been registered, an email is sent to the user to enable them to activate their account. They can then log into API Manager using their registered user name and password. For details on optional registration codes for organizations, see Administer APIs in API Manager. API Catalog: Browse all virtualized APIs available to the organization. Applications: Create, manage or delete client applications that invoke APIs. Monitoring: View historical reports and statistics on all client applications created by the API consumer. Settings: Manage user Account Settings (for example, change password or user details). In this example, selecting the Swagger tag would display the Petstore API only. You can also filter tags manually by entering the tag: prefix followed by the tag value in the filter box (for example, tag:Swagger). You can filter multiple tags by entering a comma-separated list without any spaces between values. 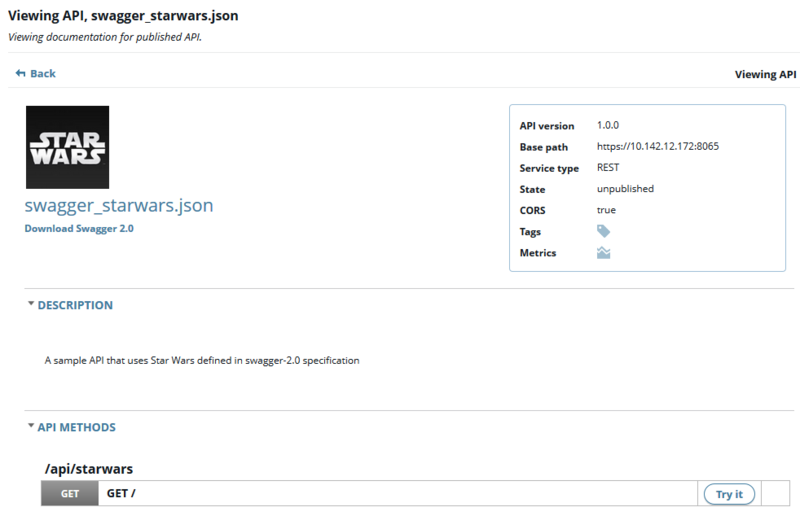 For example, in this case, entering a filter of tag:REST,R+D would displays the Customer portal and Petstore APIs only, and not the Star wars API, which is tagged as QA. For details on creating tags, see Administer APIs in API Manager. For more details, see http://swagger.io/. You can use the Applications tab to manage client applications (for example, create, update, or remove client applications that invoke specific APIs). 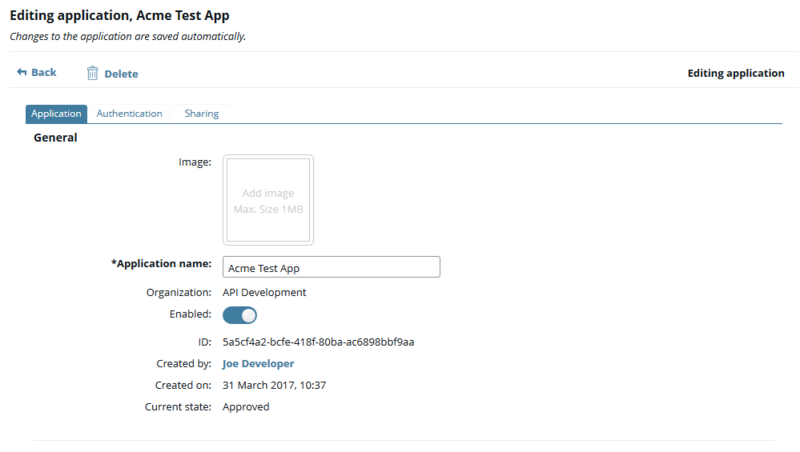 When an application is created, API administrators can also set authentication, quota, and sharing settings on the appropriate tab. Note The API administrator must first specify the APIs that an organization is allowed to access before any of its client applications can have access to them. In API Manager, you can only add APIs to an application when they have been added to the organization. For more details, see Administer APIs in API Manager. Image: Click to add a graphical image for the application (for example, .png, .gif, or .jpeg file). Application name: Enter the name of the application. This field is required. Organization: Enter the name of the organization that the application belongs to. This field is required. The choice of organization determines which APIs are available to the application. For more details, see Administer APIs in API Manager. Enabled: Select whether the application is enabled. Applications are enabled by default. Email: Enter an email address for the application. Phone: Enter a phone number for the application. Description: Enter a short description of the application. Click Add API to select the APIs and methods used by the application. You can add multiple APIs for an application. Application Type: Applications set to Confidential must always send the generated secret along with their OAuth-Authorization request. Applications set to Public may ommit the secret, when not using the client_credentials grant type. Defaults to Confidential. Redirect URLs: You can enter optional redirect URLs for the application (one URL per line). The application can then redirect users only to the specified URLs, which helps prevent attacks. X.509 Certificate: You can paste the contents of a Base64-encoded public X.509 certificate for the application. This certificate is used to verify the signature of JWT tokens and SAML assertions used in the appropriate OAuth grant types. resource.READ: Read-only access to the resource. resource.WRITE: Write access to the resource. openid: OpenID Connect access to the resource. Add New Scope: Enter a custom scope name to manage access to the resource. Note These OAuth scopes settings are displayed only when Enable OAuth scopes per application is selected in Settings > API Manager settings > General settings. For more details, see Configure web-based settings in API Manager. 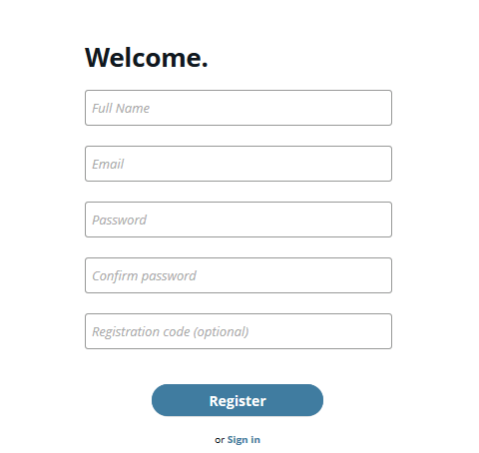 Tip For more details on OAuth, see the API Gateway OAuth User Guide. The Quota tab enables API administrators to override the application-default quota and specify application-specific quota rules. For more details, see Administer APIs in API Manager. The Sharing tab enables API administrators to manage access to the application for specified users. Click Add User, select an existing user name from the list, and select whether the user can View or Manage the application. The default is View. You can add multiple existing users. For details on creating users, see Administer APIs in API Manager. To remove user access to the application, select the user name, and click Remove. Delete selected item(s): Permanently deletes the selected applications from the client registry. Disable: Disables the selected applications in the client registry. Applications are enabled by default. Enable: Enables the selected applications that have previously been disabled in the client registry. You can then import this file into API Manager as required (for example, when promoting between environments). See also Promote managed APIs between environments. Tip You can click Export all in the menu bar at the top to export all client applications in the client registry. You can click Import to import previously exported applications in the selected .dat file.